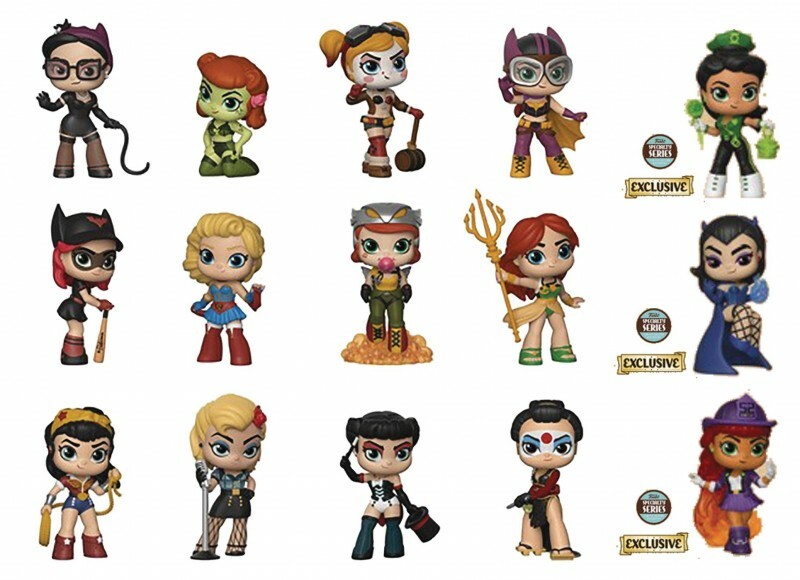 While there’s no denying that Mystery Minis are absolutely adorable, the 12-piece DC Bombshells Mystery Minis are as fierce as they are adorable. The dream team includes Wonder Woman wielding her lasso of truth, Batwoman, Batgirl, Harley Quinn and her trusty mallet, Katana and her sword, Poison Ivy looking mighty green, Catwoman with whip in hand, Supergirl looking ready to fly, Mera, Hawkgirl nonchalantly blowing a bubble with her gum, Black Canary and Zatanna, all with a 1/12 rarity! This Specialty Series set also features 3 special Chase figures to collect!